These are the amounts payable to the bank or financial institution every month. A loan tenure for a longer term say for a maximum period of 30 years helps in cutting down the EMIs. It’s extremely important that you have a sound knowledge of the amount that you need to pay every month towards your Equated Monthly Installment or EMI. However, to get the best estimate you’re likely to bear towards EMIs, using a home loan EMI calculator will be the best bet. What information do you get with a loan EMI calculator? The EMI - EMI is the amount that you are liable to pay should you decide to opt for a home loan. 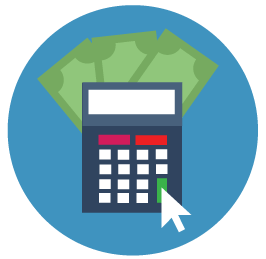 EMIs include the principal payment and interest and these amounts are provided by the loan EMI calculator. The Breakup - It is the breakup of the complete amount that the bank or financial institution will get paid by the customer (you). This component will tell you the amount that you will have to pay as a principal. Besides, you will come to know about the amount which will be paid as a processing fee for the home loan. Amortization Tables - The amortization table is the progression of your home loan. Through this table, you will come to know how much you will have paid back at the end of each year, as the loan takes a leap forward. Feeding these details in the EMI calculator will help you calculate the Equated Monthly Installment.